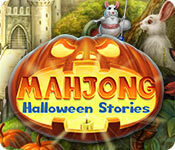 Halloween Stories: Mahjong is rated 3.9 out of 5 by 7. Rated 5 out of 5 by moosish2 from Great brain exercise (read my review) Okay. This game seems to be geared towards 6-year-olds at first look. I mean, the story is quite simplistic. However, there is one great difference between this Mahjong game and all the rest -- the matching pairs don't always have the same color tile! As someone who has enjoyed playing PC mahjong games for over 20 years, I can tell you that there is a unique challenge when this is happening. (I hope I'm explaining this okay.) Because of this difference, I felt that my brain was constantly being worked, but at the same time, the game was super-relaxing. 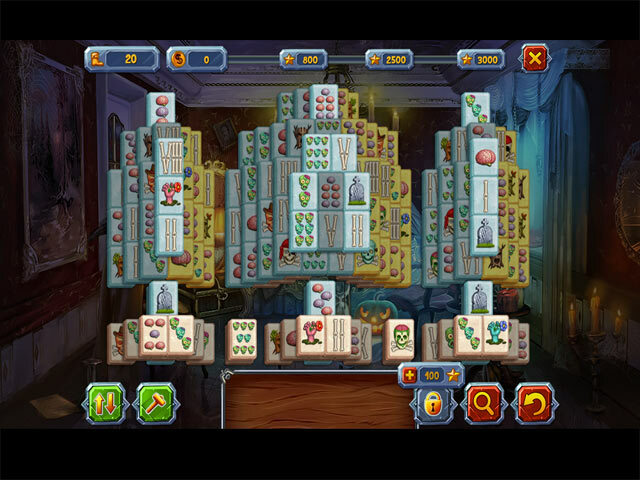 It is all but impossible to "lose" this game in any way, or fail at any of the mahjong boards. But that's okay. I really enjoyed playing it, but I don't recommend it for people looking for sophisticated stories and frustrations with killer rules of play! Rated 5 out of 5 by Karavan from A game for those stressful days I'm not a majong fan but I liked this game/ A nice relaxing game. Pretty with soothing music. This is a game I would go to if I was stressed out and needed to wind down. I found it challenging enough but was also able to get 3 stars. I am not a really experienced majong player so this may be too easy for some but I found it overall delightful. Rated 5 out of 5 by andymore from Nice game! 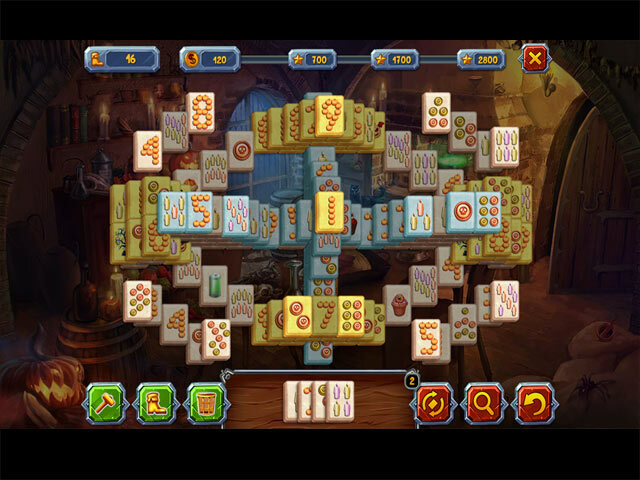 In this Mahjong I found a lots of fun in a variety in the game type. Here you can play the almost usual Mahjong, also the Mahjong where you need the collect tiles in collection, and the solitire-liked collecting of chains. The art is great, the sounds and music are pretty good and also the story keeps you interested in what is going to happen next! Rated 5 out of 5 by pennmom36 from One Of The Most Entertaining Mahjong Games In A Long Time! Usually mahjong games are boring with very little challenge, but I really liked playing this game. There's somewhat of a story at the beginning when Jack and Adele are about to be wed and a portal opens and Adele is sucked in by a pumpkin? Jack sets off on an adventure to find her while the elders search their reference book of magic to find out more about this unforeseen entity. I'm sure more of the story will emerge as you progress, but to me, it doesn't matter as long as the game itself is entertaining. 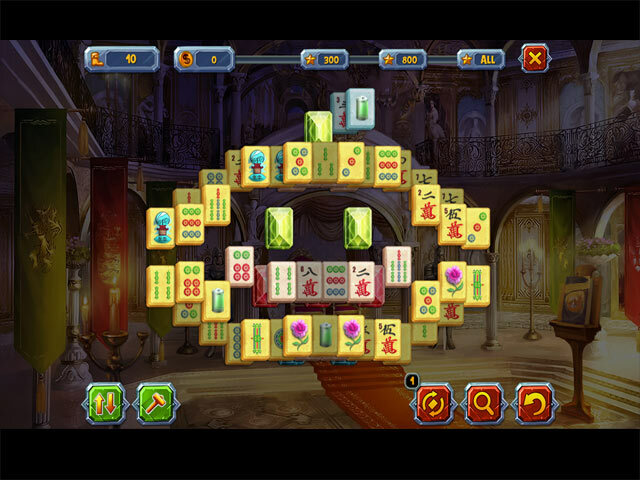 You can choose from 9 different themed mahjong tiles, many of which are Halloween themed. Freestyle modes are unlocked one by one as you finish them in adventure mode. There are three goals given at the beginning of each level (60 levels total) which will give you up to three gold stars if you achieve the goals. You must remove all tiles, and the other two goals are of specific earnings of coins within a specific number of moves, for example, earn 300 coins within 10 moves. The Jewels are worth 50 points, the Gold tiles are worth are worth 20 coins, the Silver tiles worth 15 coins and regular tiles are worth 10 coins each when matched with their identical tile (gold-gold, silver-silver etc.) There are levels that require you to match all identical tiles in typical mahjong fashion, some levels allow you to collect specific tiles as shown at the bottom, and my favorite game allows you to make chain matches according to the number value. In the chain mode you can play up to 10 chains of either the same number value or one higher. If you are trying to earn all three stars, you can take your time and think about your matches so that you can match higher values at the beginning if possible. There is a Hint feature, an Undo feature and a Reshuffle feature. Each new level gives you three more reshuffles and you can hold on to them for a total of 10 reshuffles, because you will earn more, you should use them to help you achieve goals. You can always purchase more in the Contraptions Shop with your earned coins. You can also purchase a Lucky Swap which allows you to swap two tiles, a Golden Hammer which unlocks a single blocked tile, a Riding Boot which increases the turn counter by one, and a Smart Trash Bin which removes all accessible pairs. Enjoy! Rated 1 out of 5 by Mcduff1495 from Horrible Game The moving tiles made it very hard to concentrate on game. The tiles kept going all over the screen. Half the time when you clicked on the tiles they just moved all around the screen but never disappeared. Hated it. Rated 1 out of 5 by hermette from Boring I can't imagine how this game got 5 stars. Nothing new with this type of game, except the coloring of tiles made it extremely hard on my eyes. I found it difficult to play and very distracting. Sorry. Come on BigFish, give me a reason to spend my money. Bring back FUN games and ditch the dark depressing ones. Farm Mania Hot Vacation was great! The other farm games was way too much clicking and actually made my fingers start cramping. You have players with varied interests, feed us.